Graduation season is upon us and it’s time to celebrate, but also the perfect moment to help recent graduates gain their financial independence as they start their lives outside of school. 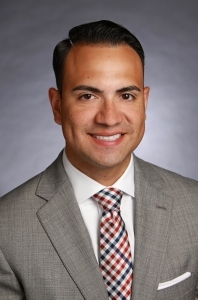 Andres Baltazar, Financial Advisor for Northwestern Mutual, has 5 essential tips for recent grads to get them on the right path toward financial success. Create a monthly budget: Create a budget of your monthly earnings and itemized expenses and make sure you understand the needs versus wants. Then prioritize that list. This will serve as a helpful guide when it’s time to move out of the home. Manage school loans effectively: Student loan debt can feel overwhelming, but you can chip away at your balances faster by paying the minimum amount on loans with the lowest interest rates and make the largest payments on balances with the highest interest rates. Look into loan consolidation to get the best interest rates and combine payments. Handle credit with caution: Owning credit cards can help build a good credit history and a good credit score is the basis for everything from landing a job to renting an apartment to getting the best rates from lenders. Keep your score squeaky clean from the start – don’t max out your cards, stay within your monthly budget, and always make your payments on time. Enroll in autopay to avoid late or missed payments, both of which will erode your score over time. Begin saving now: If there is a new job in the picture and your new employer offers a 401(k) plan, there is no reason not to contribute. An employer-sponsored retirement plan, especially one with a company match, is a great benefit and will allow you to automatically save for your future each month, tax-deferred. Revamp your lifestyle: A budget is only as strong as how well you manage it. Be sure to routinely review what’s working and where improvements can be made. If needed, adjust your discretionary spending on extras like gym memberships, manicures, dining out and shopping. These savings may not seem impactful in the moment, but over a year’s time they will add up significantly. For more tips like these and insights on creating a budget, visit TheMintGrad.org. Article prepared by Northwestern Mutual with the cooperation of Wealth Management Company Financial Advisor Andres Baltazar. Northwestern Mutual is the marketing name for The Northwestern Mutual Life Insurance Company, Milwaukee, WI (NM) (life and disability insurance, annuities, and life insurance with long-term care benefits) and its subsidiaries. Gerardo Andres Baltazar is an Insurance Agent of NM, and a Registered Representative of Northwestern Mutual Investment Services, LLC (NMIS) (securities), a subsidiary of NM, broker-dealer, registered investment adviser and member FINRA and SIPC. Representative of Northwestern Mutual Wealth Management Company®, Milwaukee, WI (fiduciary and fee-based financial planning services), a subsidiary of NM and federal savings bank.